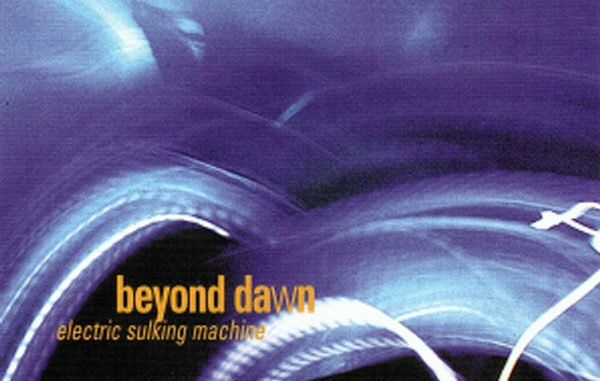 “Electric Sulking Machine” is a uniquely light reprieve in Beyond Dawn’s discography, having very little metal and not much of the electropop sound that would replace it. It’s a sparse, lethargic pop record with subtle electronic inclinations—some warm keyboard textures here, a few pulsating break beats there. While having a transitional character, the sound and lyrical content is 100 percent Beyond Dawn: bleak, inward-looking and mordantly humorous. Espen Ingierd’s vocals are dry and deep, occasionally rising to a forlorn crescendo when the distorted guitars swell closer to metal, which isn’t all that often. The guitar sound is often clean or altogether acoustic on this outing, but without the twang and country inflection that would emerge on “Frysh.” Einar Sjurso’s percussion is as tight as ever, but more subdued and less urgent than the Swanish militancy of his work on “Revery.” The trombones follow suit, still simmering in the background, without the insistency found on prior endeavors. While lacking the power of metal and the sometimes humorous beeps of electropop, “Electric Sulking Machines” works very well on its intended level, providing an eerily moody Dramamine-like effect on the listener—neurotic, even hallucinatory, but curiously accessible, a pop sound for late-night, post-bar/nightclub contemplation, somewhere between black metal grimness and fun, spacious rock and roll for the despondent clubber set.